I need to add a tenon to each end of the curved stretcher. I use my full-scale drawing to find the tenon locations. The tenon is defined from the full-scale drawing. 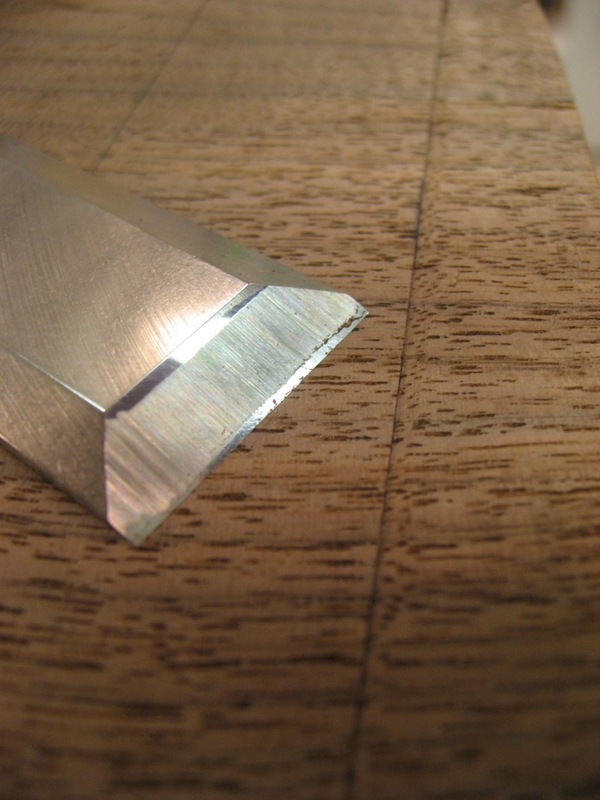 After marking with a knife, I use a chisel to define a small v-groove to help guide the saw. 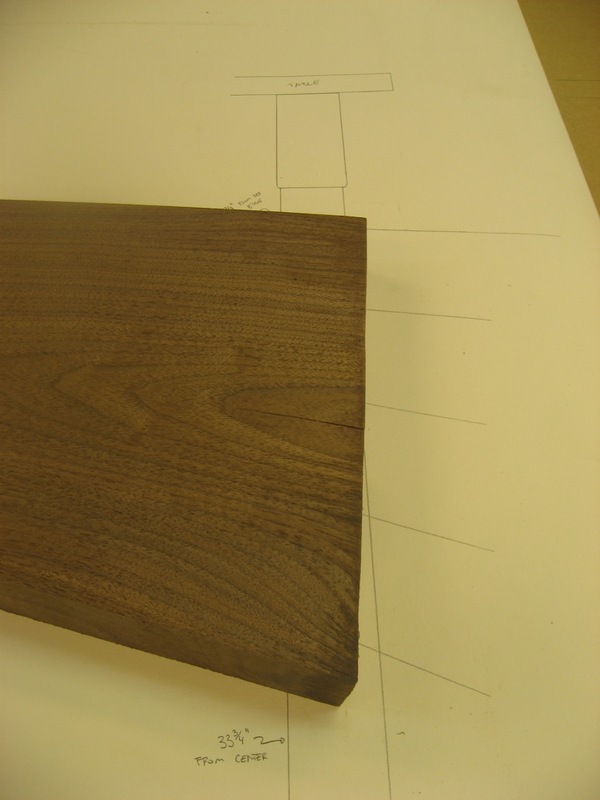 I used my Bad Axe Toolworks Tenon Saw to define the tenon shoulder. I define the tenon shoulders with a Bad Axe Tenon Saw. 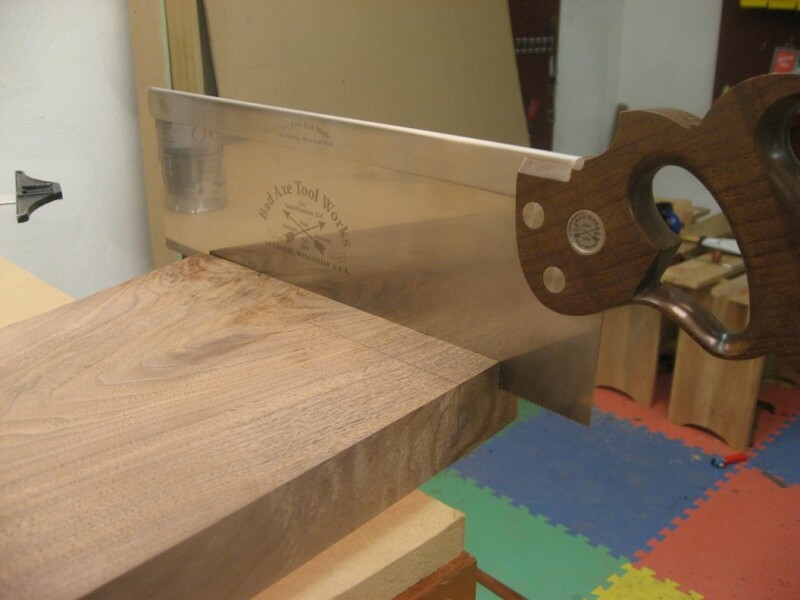 Since this is a 6′ long piece, I brought a tool to the wood in order to quickly remove the cheek waste. The Festool TS55 was fast. 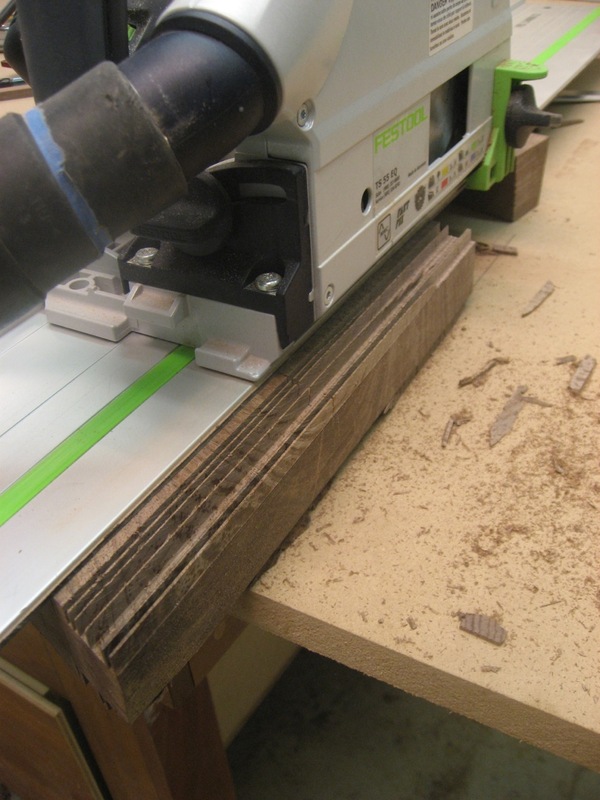 The Festool TS55 quickly remove tenon cheek material. Finally, used my router plane to clean up the cheeks. 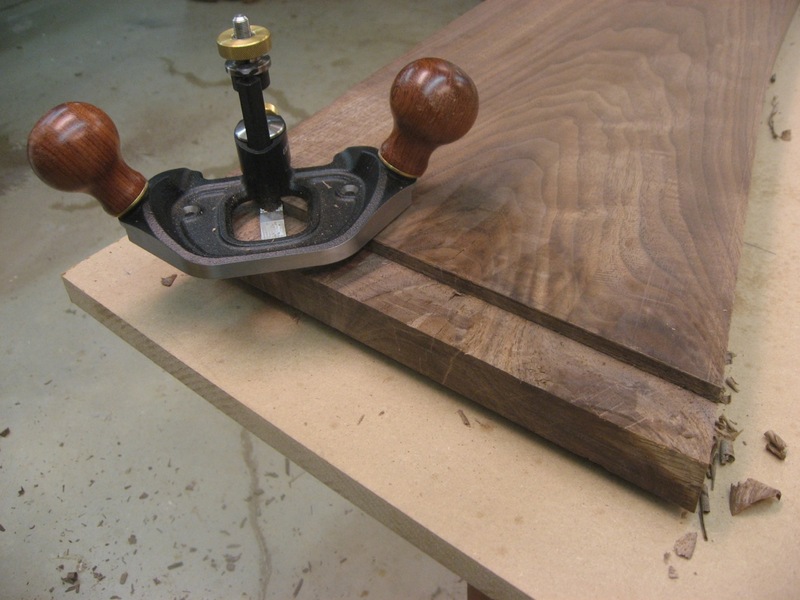 Router plane cleans up tenon cheeks beautifully.